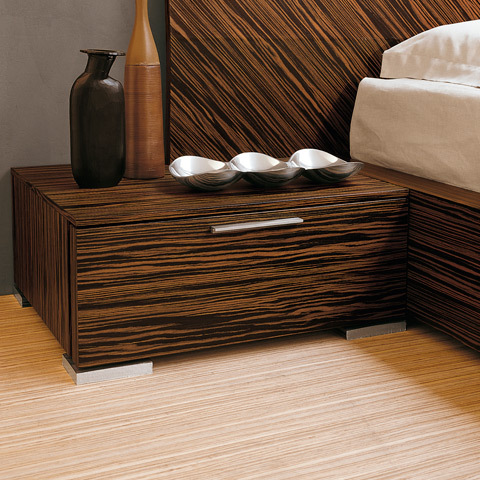 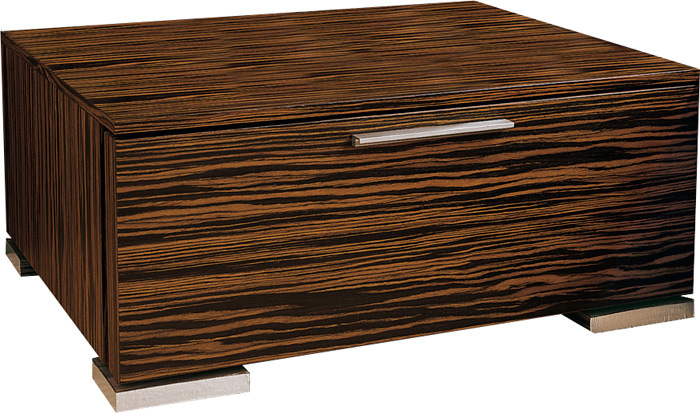 Part of our Italian-made Milan Collection, the Naples Nightstand boasts incredible styling and craftsmanship. 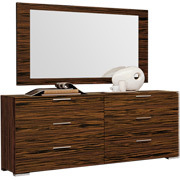 Cubist-inspired lines give Naples a clean modern look, which contrasts beautifully with the bold and sophisticated ebony wood finish. 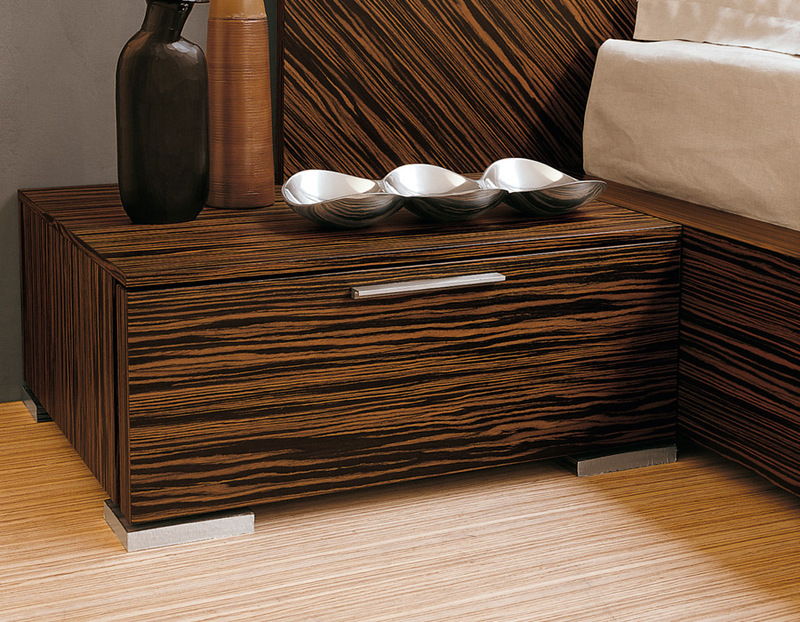 Sleek silver legs and slim silver drawer pull offer understated style consistent with Naples' modern styling.